In a recent move, I found myself a little further south than I originally anticipated, and I now reside in beautiful Nosara, Costa Rica. Before moving down here I looked at a number of books and websites, including The Surfing Site’s Surf Travel Guide for Nosara, Costa Rica. Taking many things into account, I decided that this would be the best location for my two-month surf trip. Anyone who has ever been on a surf trip can probably tell you that it’s smart to look at places that have a little more than perfect waves, because you never know when those waves will turn off and you’ll be stranded in some random country with nothing to do but look at a motionless ocean. After being here for a couple of weeks and finding out more about this amazing country, I have compiled a list of things to do in Nosara, Costa Rica when the waves aren’t doing what they’re suppose to do. Sport fishing is a pretty big past time in Nosara, and there are plenty of fishing adventures available to those wanting to go out. Fishing Nosara is one of the biggest names, and their rates run anywhere from $175 for two hours to $750 for a whole day. The fishing is incredible here, so if you like casting a line, this could possibly be the best non-surfing activity for you. Nestled back in the jungle off the main road into Nosara, you will find the well-known Nosara Yoga Institute. Those of you who enjoy a nice yoga session before or after you surf can head down for a class or two for about $12 a person. For those yoga enthusiasts heading that way, they also offer certification programs that you might be interested in. If your surf trip has you on a tight budget you might want to try out the complimentary community yoga classes on Wednesday nights. 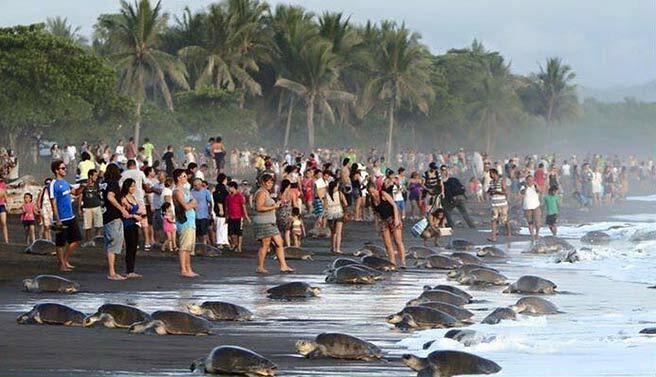 If you are looking for something amazing and inexpensive, then head on down to nearby Playa Ostional, where you will find hundreds of sea turtles nesting along the beach. It’s cheap, easy and absolutely incredible. Another big thing in Nosara is renting quads. This can be done through a number of places including Monkey Quads, where they offer tours and lodging along with simple daily quad rentals. They rent for about $50 a day, and they provide a unique way of getting around and seeing what Nosara has to offer. 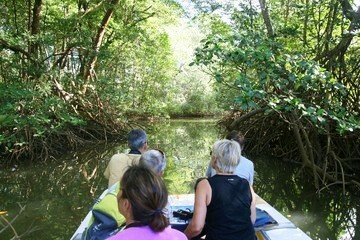 Seeing that Nosara is located in the jungle, it is only natural that they would offer jungle tours. 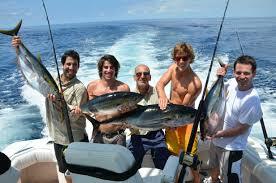 One of the most well known companies is Iguana Expeditions. Here, they offer tours ranging anywhere from kayaking, snorkeling and backpacking to crocodile, bird watching and waterfall treks. They even give you the option of creating your own custom tour, which allows you to do just about anything you can think of. Throughout all of Costa Rica there numerous canopy tours, which are basically really long and amazing zip lines through the jungle. Nosara is home to the worlds longest zip line, and you can experience it only on the Miss Sky Canopy Tour. They have 3 tours available during the day: morning, afternoon and evening. These tours leave out of Nosara, and cost about $60 a person. I’m yet to do it, but everyone here says it is absolutely amazing. This is obviously not all Nosara has to offer when there’s no surf, but it’s a great start. If you are planning a surf trip down here sometime in the near future, I recommend looking up alternative things to do while you are here just in case you are one of the unlucky ones who gets stuck without any waves. An important thing to remember is that Nosara is just a little town in this beautiful country. It might not be a bad idea to look into other places nearby to visit when the surf is flat. Be adventurous; explore what Costa Rica has to offer.